Very often as a Chef you need to pull everyone into the kitchen, put a fork in their hand and listen to what they say. Some of the best dishes are inspired by the feedback and input of many. That’s what we did with our Chefs’ City Roast. We wanted to create a slightly more mild blend than Chefs’ Choice. It is the perfect coffee for lighter fare, paired with fruit based desserts, or continental breakfast. Lighter, milder coffees combine to create a flavor balance founded in the citrusy, sweet beans from the Medellin (central) region of Colombia. 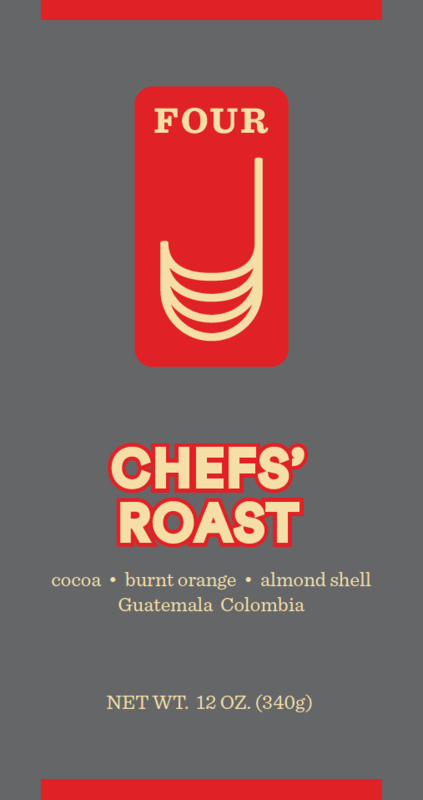 It is enhanced with other high altitude, volcanic Central American beans to result in a comforting cup – burnt orange, almond shell and cocoa after notes. It has a balance of sweet acids, a creamy body and a clean, clear finish.